The area of Human Resources covers the spectrum from operational to strategic. In small businesses HR practitioners usually cover all areas and in large organisations they may specialise. In either case you may need external help. Are your people aligned with your processes and strategies? Are your processes and strategies current and are they right for your organisation to achieve its organisation strategies and goals? If you answered “no” you may need to review your processes, procedures and policies. We can help you to do this and we will help you to implement them to achieve your organisation’s goals. Maybe some workforce planning is needed. Sometimes it means you need a branch or organisational review and restructure. We can help you to review your current policies and make suggestions for changes, or for the need for new policies. Then we can work alongside you to develop new ones. There are many things that can be done to improve your bottom line. Just ask us. Do you make sure that your business takes a proactive approach so that you have a productive, adaptable and engaged workforce? The ideal is to attract the widest possible (appropriate) pool and then identify the best candidate through a variety of selection tools. We all aim to keep our business as competitive as possible, both in the public and private sectors. To achieve this aim we need our people to be performing as well as they can. A performance management system provides the framework within which employees and their managers work. Everyone knows what they need to do to ensure employees are productive and are given the opportunity to improve their performance through regular feedback from managers. 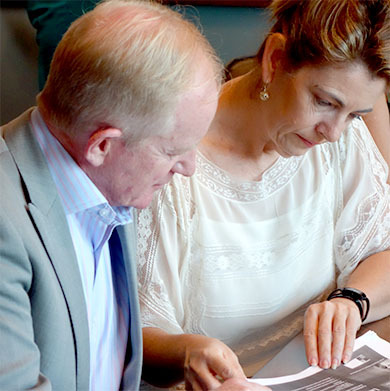 Maitland will help you to design your performance management system to achieve your aims. Often managers do not like conducting performance appraisals and do a superficial job, or don’t do it at all. Maitland provides workshops for managers to give them not only the skills to conduct the appraisal, but also the right attitude to do them. Running an effective performance management system is a win-win for everyone – the organisation has effective, motivated employees and the employees are given regular feedback and are offered opportunities to further develop their skills. Latest news from Maitland Consulting. Maitland operates throughout Australia and the region with consultants located in each State and in Singapore. Many of the consultants regularly travel throughout Australia and Southeast Asia for our global clients. Copyright © 2019 Maitland Consulting Group Pty Ltd. ABN 62 065 337 948. All Rights Reserved.